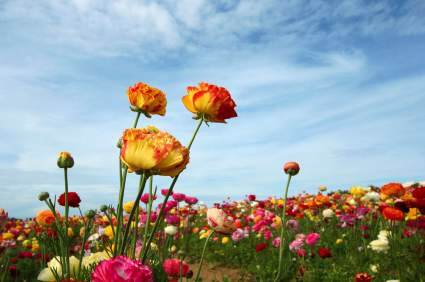 Enjoy these fun San Diego events in April 2019, with the spring flowers and festivals. Are you looking for some fun San Diego events this spring? Enjoy these events in San Diego, Oceanside, Carlsbad, Encinitas, Solana Beach, Del Mar, La Jolla, and Coronado CA. 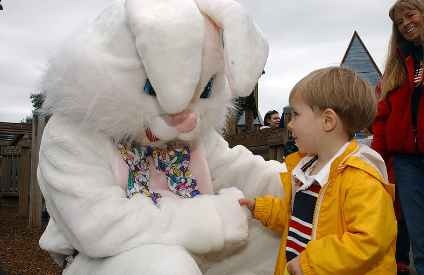 If you are looking for the 2019 Easter Egg hunts, see San Diego Easter Egg Hunts. Craft Breweries Tour San Diego is known for their many craft breweries. Try a few different breweries and you might find a new favorite beer. Carlsbad 5000 - April 6 to 7 2019. Plenty of fun, run, food and festivities on this scenic seaside course. Runners should register early. carlsbad5000.com/. Sunset - Enjoy a spectacular sunset view at Point Loma's Sunset Cliffs. Go at sunset of course, which is around 7:10 to 7:30 PM in April. 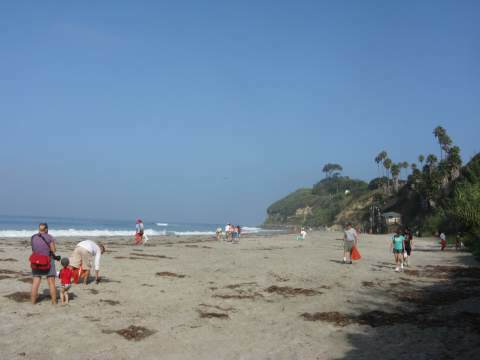 In La Jolla, check out the view from Children's Pool, or Torrey Pines. In North County, watch the sunset view at Swami's. Star Wars Miniland at Legoland - Exhibit now open. Legoland California becomes the first Legoland park to open a Star Wars Miniland area. Enjoy scenes from the Star Wars movies and animated series, all made out of 1.5 million lego bricks. Pose with life-size models of Chewbacca, R2D2 and Darth Vader. For more information see Legoland California. Free Organ Concerts in Balboa Park - Every Sunday from 2 - 3 PM. Enjoy beautiful Balboa Park and enjoy a free organ concert at Spreckel's Pavillion, a beautiful outdoor pipe organ. Located at 1549 El Prado #110, San Diego Balboa Park . The Dinner Detective Interactive Murder Mystery Dinner Show - Saturday dates (call for availability). Enjoy murder and mayhem as you figure out who dunnit. The murder mystery dinner show takes place in the entire room, to keep you guessing who is part of the crime and not. The top sleuth wins a prize. These dinner shows sell out fast, so make your reservations now. 888-619-0858. Easter Egg Hunts - This year Easter is on Sunday April 21 2019, but the Easter Egg hunts may occur early such as a week before or day before in some San Diego areas. See our San Diego Easter Egg Hunt calendar for tips on when and where to find the Easter bunny and your neighborhood egg hunt. San Diego Easter Egg Hunts. SoCal Resident Disneyland Ticket Special Offers – Purchase a 2-day or 3-day ticket at special prices. The 3-day ticket includes one Magic Morning early admission. Check out our tips on buying Cheap Disneyland Tickets. Belmont Park The Plunge - Pool currently closed and should open in 2019, but all the rides and games at Belmont Park are open. The Plunge indoor swimming pool in Mission Beach San Diego. Kids love the pool, so take them for a swim on Family Swim nights. Belmont Park The Plunge. Hike Anza Borrego Palm Canyon Trail - Springtime is the best time for an early morning drive to Anza Borrego desert and a morning hike on the popular Palm Canyon Trail in Anza-Borrego Desert State Park. You can also enjoy the spring wildflowers in bloom. One of the best free San Diego events every spring. IRS Day Swim - "I'd Rather Swim" Day - April TBD 2019 at 9 AM at La Jolla Cove. Join the La Jolla Cove Swim Club in their annual tax relief swim. This year it is "IRS" day or I'd Rather Swim. Also a fun egg-stravaganza so check their website for details. A fun non-competitive splash. One of the cool San Diego events in April. www.lajollacoveswimclub.com. Grunion Runs - Sunday April 7 from 11 PM to 1 AM 2019 and also some dates in March and May. Watch the grunion come ashore to spawn on the beach. Call for reservations. Birch Aquarium. Balboa Park Free Museum Tuesday for Residents and Military - Some Balboa Park museums are free on 1st - 4th Tuesdays of each month to locals (San Diego Cal. City & county residents), and active military and their families. The free museums rotate, so check the schedule at Free Tuesday Balboa Park museum. Whale Watching San Diego - December - mid April at San Diego Maritime Museum. No seasickness guarantee! Watch for whales aboard the replica of the 139-foot yacht America. 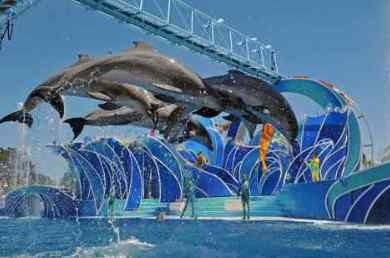 Adults are approximately $65 - $85 per person, kids less. Whale Watching in San Diego. San Diego Dog Beaches - Take your dog to the beach! Some are leash free while others require leashes. Hours may be limited. We have a map to all of the San Diego Dog Beaches. 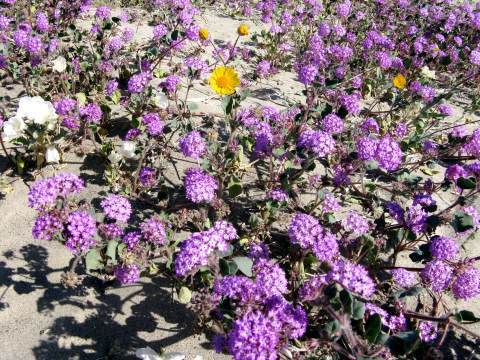 Anza Borrego Wildflowers - Take a day trip to Anza Borrego Desert State Park to see the spring wildflowers, the bloom is lovely in late March and early April. One of our favorite San Diego events in April. Stop by the historic town of Julian on your way back. For more information see Anza Borrego State Park. Sea Days - Saturday April 20 2019 from 11 AM - 3 PM at Birch Aquarium, for a fun family event. Celebrate Party for the Planet planet for Earth Day. Free with paid admission to Scripps Birch Aquarium. Birch Aquarium. 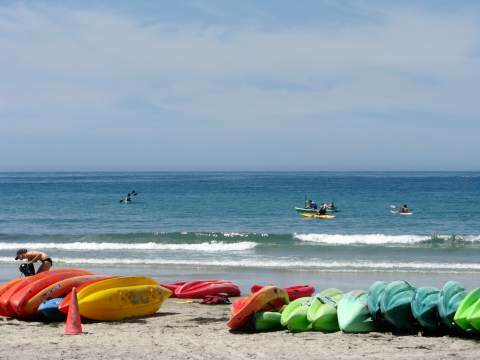 Things to Do in San Diego - For more fun San Diego events and things to do, check out these San Diego Activities, Beach Activities and San Diego Events May.